Did you know that all species of monitor lizards can swim? It is speculated that monitor lizards swam and island hopped from Asia and Australia over to Africa. 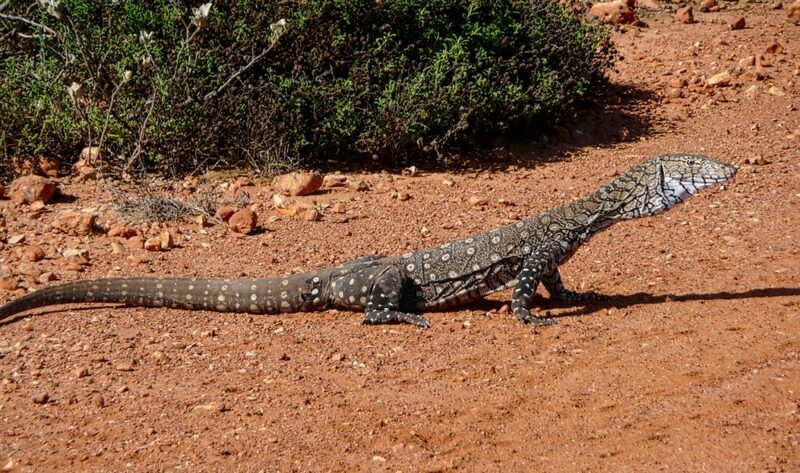 In Southern Africa, there are 2 species of the large lizards that some herpetologists say are more closely related to a snake than a lizard. Like the rest of their genus Varanus, the Nile monitor lizard and the Rock Monitor lizard stand on their hind legs to monitor their surroundings, hence their name. These fast and fierce creatures are sometimes spotted at our lodge and we recently captured one on video. 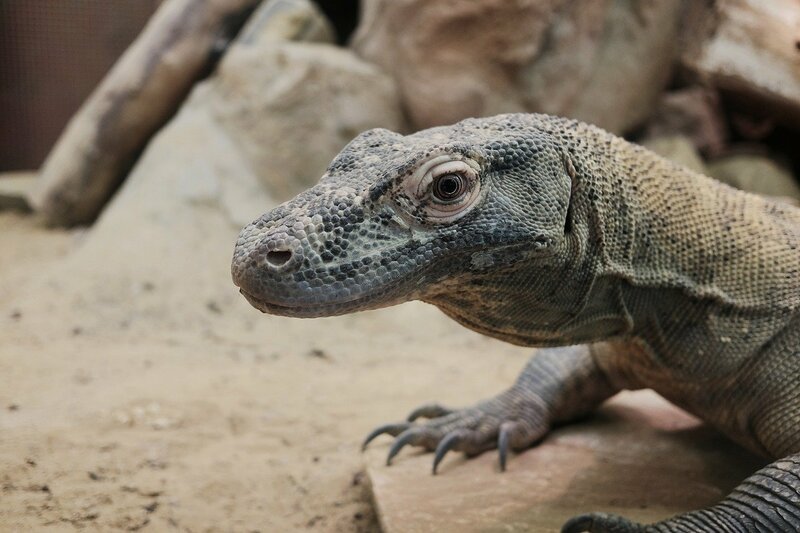 Monitor lizards can grow to be incredibly large, in fact, the famous Komodo dragon is a species of monitor lizard. Of the 2 species found in Southern Africa, the largest size they can grow to is 2 metres long, although this is rather rare. Nile monitor lizards are actually Africa’s largest lizard. The Rock monitor lizard is a bit shorter and stockier but has a longer tail. These long tails are used as oars when swimming and whips when defending themselves. Monitor lizards are interesting in that they are very similar to snakes, with their distinctive forked tongues that they use to detect scent molecules from the air. They also hiss when they feel threatened. They are also considered the most intelligent of all lizards, when kept in captivity they can be trained to count to 6 and in the wild, they are able to remember where their hiding places are, specifically the various routes to get there. They are also the only lizard species that don’t regrow their tail after losing it. They are also excellent hunters and will work together to raid a crocodile’s nest, with one lizard distracting the mother and the other stealing the eggs. Monitor lizards have incredibly strong jaws and will grip tightly without letting go, they also secrete poisonous toxins in their saliva that harms their prey. Being carnivores they’ll eat anything from eggs to small mammals, fish, other small reptiles and birds. Nile monitor lizards are ingenious in their breeding methods they use their sharp claws to dig into a termite mound where they lay their eggs. The hard-working termites then close the hole and provide a secure temperature controlled nest for the eggs, once the eggs hatch they then feast on the termites before making their way out of the mound. As you can see there’s far more to these sandy brown or greenish lizards than meets the eye, incredibly intelligent and downright crafty, keep a look out for them while at our lodge Elephant’s Eye, Hwange.